Correction: A previous version of this story misstated the cost of the new hanger at Campia Turzii. It cost $950,000. 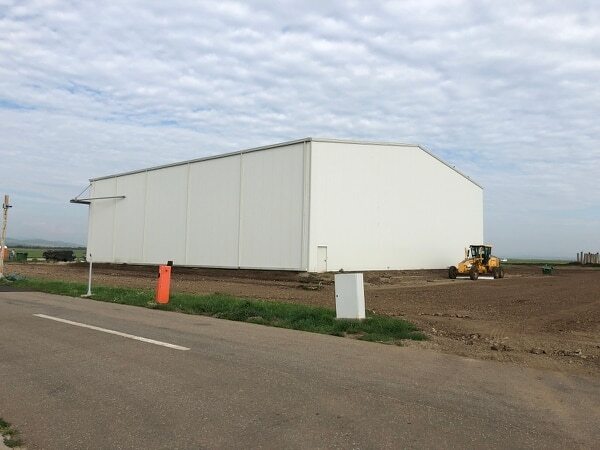 CAMPIA TURZII, Romania — The U.S. Air Force has constructed a hangar at Romania’s 71st Air Base at Campia Turzii, and it could be used to house MQ-9 Reapers and support intelligence-gathering operations around eastern Europe and the Black Sea, Defense News has learned. 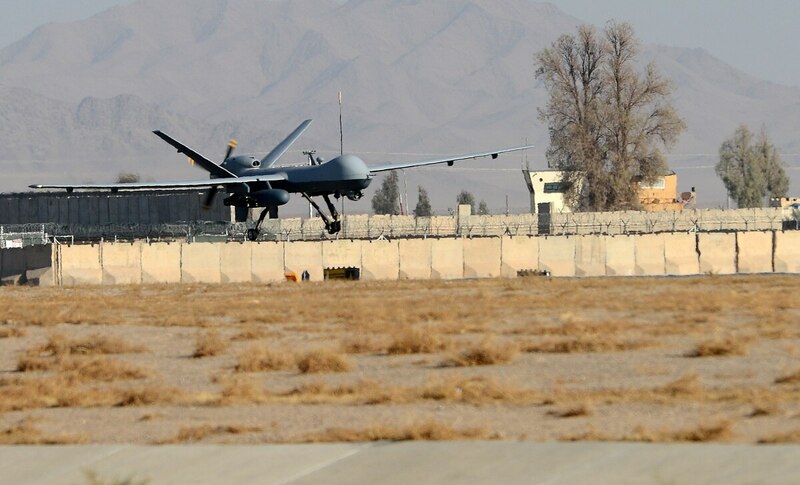 United States Air Forces Europe declined to comment on whether the Air Force had concrete plans to begin operating MQ-9s from Campia Turzii in the near future, but the new facility could pave the way for a first-ever deployment of the Reaper to Romania. “As a matter of policy, we do not speculate on potential deployments or future aircraft unit movements. U.S. Air Forces in Europe routinely moves a variety of aircraft around Europe for theater familiarization, to conduct training, and support combatant commander objectives,” Capt. Nathan Czuba, program manager for the European Deterrence Initiative, said in a statement. The MQ-9 Reaper will be hunting targets from the European country's airspace, but don’t expect a permanent stay. According to a U.S. Air Forces Europe document listing U.S. Air Force construction projects at Campia Turzii, the new $950,000 hangar will be able to house medium-altitude, long-endurance drones — presumably the MQ-9, the only MALE unmanned aerial system currently in use by the service — while meeting “all the security requirements” necessary for UAS operations. Defense News saw the completed hangar during a trip to the base in July, just months after construction ended. It was built by an eight-person team of Air Force engineers from October 2017 to May 2018, said Brig. Gen. Roy Agustin, U.S. Air Forces Europe’s director of logistics, engineering and force protection, during a July 31 interview. While Agustin confirmed it “could definitely service an MQ-9,” it could also be used to support manned aircraft like the F-15s and A-10s that have been temporarily deployed to Romania over the past several years. Even though the Air Force is remaining mum about when an MQ-9 deployment to Romania could take place, it seems likely that it’s only a matter of time until the service flies Reapers from Campia Turzii, now that supporting infrastructure has been built. Jim Townsend, who was the deputy assistant secretary of defense for European and NATO policy from 2008 to 2017 and is currently a senior fellow at the Center for a New American Security, said an MQ-9 Reaper deployment to Romania would probably be greeted with approval by the country and other nearby partner nations like Turkey and Bulgaria. The Air Force has made clear its interest in beefing up its intelligence, surveillance and reconnaissance footprint in eastern Europe. In May, the service began quietly operating MQ-9s from Miroslawiec Air Base, Poland. However, the service has divulged very little information about the deployment, saying only that the drones are unarmed and are used for ISR. The U.S. Air Force’s MQ-9 Reaper drone quietly started flights from Miroslawiec Air Base, Poland, in May, but the service isn’t exactly saying why. A current MQ-9 Reaper pilot told Air Force Times — a sister publication of Defense News — that it’s unlikely the UAS would be flown in war zones like Ukraine, as anti-aircraft munitions and surface-to-air missiles supplied by Russia to separatist groups could be employed to take down U.S. Air Force MQ-9s and escalate the conflict. “We currently operate in arenas where we have total air supremacy. That’s something we would not have in eastern Ukraine,” he said. The Air Force would more likely use MQ-9s based in Romania to monitor the Black Sea, which Townshend said is becoming increasingly pressurized as Russia beefs up its naval presence there with little competition from the Romanian or Bulgarian navies to deter it. The Reaper, which is manufactured by General Atomics, can be loaded with missiles for a strike role but can also be deployed in an unarmed configuration for ISR use. If deployed to Romania, the MQ-9 would be launched and recovered at Campia Turzii by U.S. personnel based there. However, for the majority of the mission, it would likely operate stateside by a pilot and sensor operator, who uses the electro-optical/infrared camera as well as a synthetic aperture radar for surveillance. Those sensors could be used to furnish a real-time picture of Russian activities in the Black Sea — what ships are moving in and out, submarine activity, the transport of sensors or air defense equipment like the S-400 near the Russian coastline, and how all these platforms are exercised — particularly near Crimea, Townsend said. It also could provide early warning of hostile activities, and gives the Romanian Air Force the chance to interface with drones for the first time as well as increase its situational awareness. “I think what the signal is for the Russians is that both NATO as well as the United States — we consider the Black Sea just as important in terms of stability and in terms as deterrence, that we consider the Black Sea area just as important as the Baltics,” he said. Maj. Cosmin Tanase, Romania’s chief of the coordination support office at its 71st Air Base, told Defense News in July that the U.S. military construction on base highlights the cooperation between the U.S. and Romanian militaries. "This project is a sign that you really care and you want to develop the relationship you have here in Romania,” he said. Valerie Insinna is Defense News' air warfare reporter. She previously worked the Navy/congressional beats for Defense Daily, which followed almost three years as a staff writer for National Defense Magazine. Prior to that, she worked as an editorial assistant for the Tokyo Shimbun’s Washington bureau.